Andy Daneault has a long-standing interest with reptiles and amphibians and has worked with them professionally in zoologically managed settings for over 20 years. Andy is currently Animal Operations Manager/Curator of Ectotherms at Disney’s Animal King-dom where he focuses his efforts on managing the living collection, staff, and conservation initiatives. He also serves as a steering com-mittee member for the Association of Zoos and Aquariums (AZA), Chelonian Taxon Advisory Group, and is the Species Survival Plan (SSP) co-ordinator for African Pancake tortoises and Co-chair for the Radiated Tortoise SSP. In addition, Andy participates with several non`governmental and governmental organizations dealing with a wide range of conservation projects for various species. Bill began his 33 year zoo career as a Keeper at the Cincinnati Zoo in 1972 and then moved to the Toledo Zoo in 1975 as the Curator of Reptiles and Amphibians. He became the Zoo's Executive Director in 1981 - a position he held until retiring in late 2005 and now is the Director Emeritus. He has a Masters in Business Administration and has served on the boards of the American Association of Zoos and Aquariums (AZA) and the World Association of Zoos and Aquariums (WAZA). His passion is, and always has been, turtles and tortoises and he is excited to be "going back to his roots." Dr. Susie Ellis is the Executive Director of the International Rhino Foundation, a small but feisty non-profit organization that funds and operates rhino conservation and protection programs in Africa and Asia. Her role with the Foundation is to ensure the scientific integrity of the Foundation's programs, as well as awareness-raising and fundraising. Her long-time specialty is catalyzing and facilitating collaborative, multi-stakeholder processes to benefit conservation; for example, at the request of the government of South Africa, she recently facilitated the National Biodiversity Management Plan for African Penguins, which involved developing consensus among biologists, climate change experts, the fisheries industry, decision-makers, landowners, and other groups. Dr. Ellis regularly teaches group facilitation and communication at the Durrell Wildlife Trust. She is a member of the IUCN Conservation Breeding Specialist Group, the African Rhino and Asian Rhino Specialist Groups and serves as the latter's Red List Authority. In her former role as a Vice President at Conservation International, she oversaw programs in terrestrial and marine biodiversity conservation in Indonesia and the Philippines. Dr. Ellis has worked on projects in more than 40 countries during the course of her career, with species ranging from penguins to pandas, and now, rhinos. She has authored more than 100 scientific, technical, and popular publications, and co-authored a book on giant panda biology and management with her husband, Dr. David Wiidt. The Fort Worth Zoo’s Executive Director, Michael Fouraker, has been with the Zoo since 1993 and has more than 40 years of animal, conservation, and zoo management expertise. He has focused his career on building partnerships that support global conservation initiatives. Michael’s field experience includes work in Africa, India, South America, North America and throughout the Caribbean. An advocate of sustainability and active wildlife management, Michael is a founder and board officer of the International Elephant Foundation, founding board officer of the International Iguana Foundation, Caribbean Wildlife Alliance, Caribbean Wildlife Foundation and board member of the International Rhino Foundation. These organizations have contributed millions of dollars in support of these rare species and their habitat. Michael has served on various committees for the World Conservation Union (IUCN), as a board member of the American Zoo and Aquarium Association, the American Zoo Association and the scientific advisory board for UNESCO. TIM GREGORY retired in 2007 after 24 years in the biopharmaceutical industry. His primary area of research was vaccine development for the prevention of HIV infection and AIDS, and he has more than 75 peer reviewed publications to his name. He was progressively promoted to positions of increased responsibility, to Staff Scientist and Senior Director of Process Sciences at one of the nation’s leading biotechnology companies, Genentech, Inc. Since 2007, Tim has been an entrepreneur in the biopharmaceutical industry and was an initial investor and active advisor in StemCentrx, Inc., focusing on development of oncology drugs designed to eliminate cancer stem cells. But Tim has two true passions in life: chelonians and plants. He has botanical expertise in multiple plant groups with special emphasis in the cycads, having described five species from Mexico. He is an advisor on cycad taxonomy and horticulture to the U.C. Botanical Garden (UCBG) and is a founding member of the Directors Advisory Board for UCBG and Chairman 2011-2015. He is a principal Scientific Advisor on botanical research at The Huntington Library and Botanical Garden, San Marino, CA. Tim loves Mexico and since 2004 has participated in numerous botanical exploration trips there. He has been a member of the IUCN Cycad Specialist Group since 2000 and is Chairman of the Conservation Committee. Tim currently serves on the BOD of the Cactus and Succulent Society of America and is Chairman of their Conservation Committee. Most importantly, Tim has loved turtles since age eight. 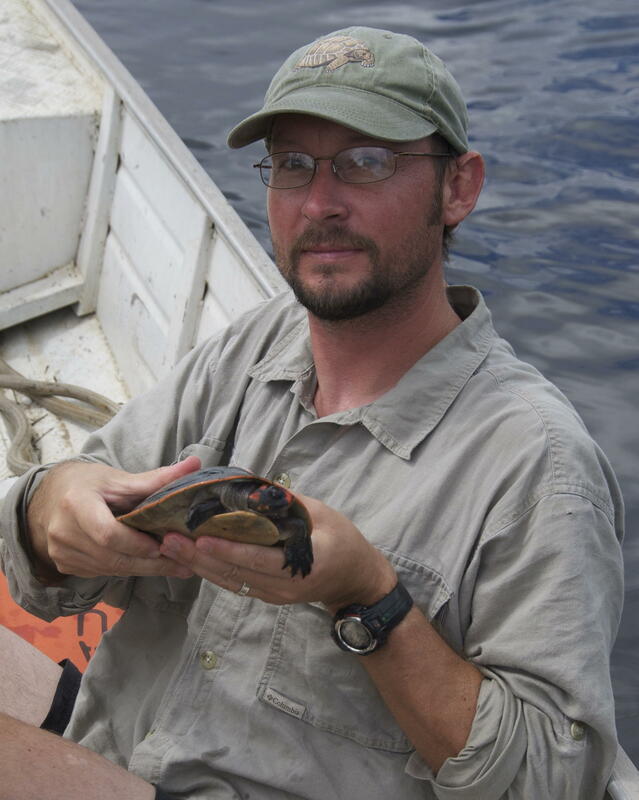 After completing his PhD at Ohio University on the developmental biology of Neotropical freshwater turtles in Meso-America, Dr. Horne was a postdoctoral fellow at the San Diego Zoo Institute for Conservation Research investigating endangered freshwater turtles and tortoises in South and Southeast Asia. As a lifelong turtle biologist, Dr. Horne has conducted field research on six of the seven continents and has lived in Mexico and India. As a past co-chair of the IUCN Tortoise and Freshwater Turtle Specialist Group, he twice co-authored the report on the Top 25 Most Endangered Freshwater Turtles and Tortoises (2011 and 2018). He was also the editor for the book “Conservation of Asian Tortoises and Freshwater Turtles: Setting Priorities for Next Ten Years” in 2012. In addition, Dr. Horne has widely published on topics ranging from parasitology to endocrinology and has wildlife photographs appearing in numerous books, magazines, and on-line resources. Dr. Horne currently serves as the Wildlife Conservation Society’s (WCS) coordinator for freshwater turtle and tortoise conservation and oversees their recovery projects for the world’s most endangered chelonians. Rick Hudson earned a degree Biology from the University of Richmond in 1977 and has been employed by the Fort Worth Zoo for the past 38 years. He was a Curator in the Fort Worth Zoo's renown Department of Herpetology for twenty years, before moving to the zoo's Conservation & Science Department in 2000 as Conservation Biologist. In 2001, Rick organized an IUCN Asian Turtle Workshop - Developing Conservation Strategies through Captive Management - that led to the formation of the TSA as an IUCN partnership network for sustainable captive management of freshwater turtles and tortoises. His professional memberships include the following IUCN Specialist Groups: Conservation Breeding, Crocodile, Reintroduction, Iguana and Tortoise and Freshwater Turtle, for which he serves as Co-Chair. He is also well known for his work with endangered iguanas, and played a leading role in the organization of the IUCN Iguana Specialist Group and the International Iguana Foundation, for which he serves as Executive Director. 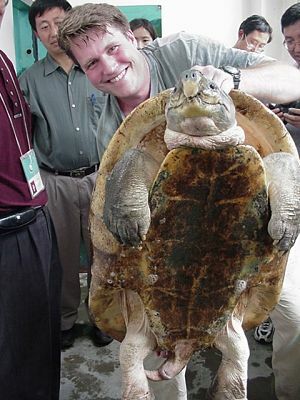 In 2007 his turtle conservation work was recognized when five zoos working through the TSA received the AZA International Conservation Award for Strategic Partnership for Asian Turtle Conservation. 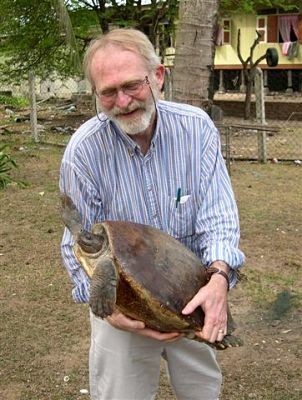 He was twice nominated for the one of the world’s most prestigious conservation awards - the Indianapolis Prize, and in in 2012 was the recipient of the Behler Turtle Conservation Award which honors excellence, outstanding contributions, and leadership in the international chelonian conservation community. John B. Iverson holds a PhD in Biology from the University of Florida and is Biology Research Professor at Earlham College in Richmond, Indiana. Because of his interests in the natural history, ecology, and evolution of iguanas and turtles, he is currently on the steering committees (and founding member) of the IUCN/SSC Iguana Specialist Group, and the Tortoise and Freshwater Turtle Specialist Group. He has been involved with the Turtle Survival Alliance since its inception in 2001, and serves on the Board of the Turtle Conservation Fund. He has been active in several herp societies, serving as editor and president of the Herpetologists League. 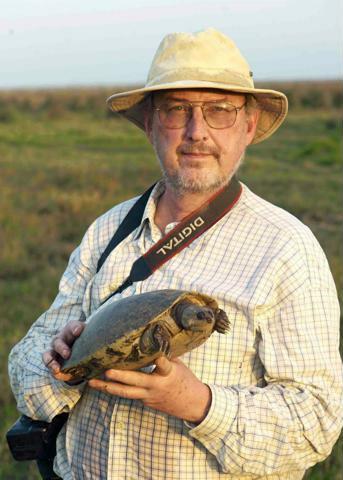 He has maintained long-term field research sites since 1980 for rock iguanas in the Exumas in the Bahamas, and for turtles at the Crescent Lake National Wildlife Refuge in western Nebraska. His hobby is restoring a 76 acre woodlot/cornfield (now in a Conservation Easement) to a mature hardwood forest. Patricia A. Koval is a corporate director and lawyer based in Toronto, Canada. She recently retired as a Senior Partner of Torys LLP, where she practised as a corporate, securities and governance lawyer. As well, Pat was an Adjunct Professor at University of Toronto Law School, and she currently serves on its Environmental Finance Advisory Council. Pat has a long history of volunteering in the conservation sector where, among other things, she is a Past Chair of the Board of World Wildlife Fund Canada, the current board Chair of The Living City Foundation and Turtle Survival Alliance, and serves on the boards of Rainforest Trust, Lewa Conservancy of Canada, and the Chelonian Research Institute and on the Advisory Council of Wildlife Conservation Society. Pat is also a member of the Board of Directors of Trans Mountain Corporation, the Chair of the Board of Directors if The Canada-India Business Council, a member of the Ontario Executive of the Institute of Corporate Directors, and a member of the Canadian Performance Reporting Board of the Chartered Professional Accountants, Canada. She is the author and co-author of a legal textbook and a number of studies on liability and disclosure related to climate change. Pat graduated from the joint MBA/J.D. program at Schulich School of Business and Osgoode Hall Law School in Toronto, Canada. Dwight Lawson holds a Ph.D. in Quantitative Biology from the University of Texas at Arlington and is the Executive Director/CEO at the Oklahoma City Zoo and Botanical Garden. Before joining the Oklahoma City Zoo, Dwight was at Zoo Atlanta for 14 years, last serving as Director. Previously, Dr. Lawson worked as an Associate Research Scientist for The Wildlife Conservation Society where he directed a community-based wildlife conservation project in southwestern Cameroon, Africa. Dwight helped found the Turtle Survival Alliance (TSA) and is heavily involved in the organization's animal management programs and the development of the Turtle Survival Center. KIM LOVICH is currently San Diego Zoo Global’s Curator of Herpetology & Ichthyology where she manages one of the world’s largest and most diverse living herpetological collections. Kim has over 27 years’ experience working at Association of Zoos and Aquariums (AZA) facilities. Kim has managed and helped establish head-start programs for green sea turtles and tailed frogs in Canada, Fiji iguanas in Fiji, West African Slender-snouted crocodiles in Cote d’Ivoire, and Mountain yellow-legged frogs and Western Pond Turtles in California. Kim is an accomplished scientific illustrator and has published drawings, book chapters, and papers, all relating to reptile and amphibian taxonomy, husbandry standards, and field monitoring techniques. She manages the Fijian Banded Iguana SSP and conservation fund and is actively involved in crocodilian conservation initiatives as well, serving in leadership roles for both the Gharial and the West African Slender-snouted Crocodile and in the IUCN’s Iguana and Crocodile Specialist Groups. Kim’s primary focus continues to be on the managed care of herpetological collections with emphasis on head-start and assurance colony capacity building with the ultimate goal of recovery of endangered and threatened species. Lonnie has spent a lifetime working with turtles, tortoises, and crocodilians, starting as a junior high school volunteer at the Dallas Zoo, where he would later become a full-time keeper from 1984-94. From there, he then moved to the White Oak Conservation Center in Yulee, Florida to manage the rhinos and part of the African hoof-stock collection. Following White Oak, Lonnie joined Disney’s Animal Kingdom a year before their opening as a Zoological Manager. Lonnie was part of Animal Kingdom’s opening team and was instrumental in animal transport, husbandry, and training for the Primate and Ituri Forest departments, as well as was part of the Kilimanjaro Safari management team for 17 years. After departing Animal Kingdom, he was briefly Curator of Living Collections at the Central Florida Zoo and Botanical Gardens before moving to New York’s Prospect Park Zoo as the Assistant Director of Facilities and General Curator. Prospect Park Zoo is one of the Wildlife Conservation Society’s (WCS) 5 zoological and aquarium facilities in New York. Lonnie is involved in WCS field programs in Southeast Asia, Indonesia, and India, as well as serves on the Steering Committee of the AZA Crocodile Advisory Group, and as Co-Chair for the IUCN Crocodile Specialist Group for East and Southeast Asia. Lonnie has been involved with the TSA since its inception in 2001 and has served as the Conference Chair for every TSA/IUCN-TFTSG Annual Symposium. He has participated on several TSA missions to Southeast Asia and India, helping to design and build breeding facilities, as well as assist in the triage of large groups of confiscated tortoises and turtles at the Yadanabon Zoo in Myanmar. John is an Adjunct Scientist at the New York Botanical Garden and Research Associate at the Smithsonian Institution – National Museum of Natural History. He is the former Chairman of the Beneficia Foundation and now serves on the Board of Directors of Bat Conservation International, Rainforest Trust, (where he is also Chair Emeritus), Global Wildlife Conservation, and the Turtle Survival Alliance. John belongs to a wide variety of scientific and environmental organizations and has special interests in conservation and birding, having pursued these activities worldwide from the Antarctic and Africa to Borneo and South America. He is a Fellow of the Linnean Society of London and a member of the Explorers Club. He has a B.S. in biology from Muhlenberg College and pursued Ph.D. studies in ecology at Rutgers University. John has authored and co-authored many scientific papers, publications, and books dealing with tropical vegetation, tropical tree identification, and the taxonomy of the Cashew – Poison Ivy family. 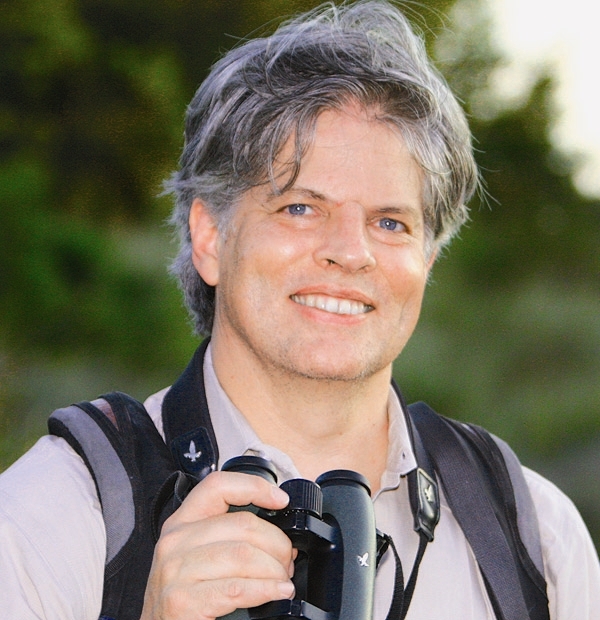 Russell A. Mittermeier is currently Chief Conservation Officer of Global Wildlife Conservation. Prior to this position, he served for three years as Executive Vice Chair at Conservation International and as President of that organization from 1989 to 2014. Mittermeier was born in New York City, grew up on Long Island, and received his doctorate in biological anthropology from Harvard in 1977. Since 1977, Mittermeier has served as Chairman of the IUCN Species Survival Commission Primate Specialist Group, and he has been a member of the Steering Committee of the Species Survival Commission since 1982. Named a “Hero for the Planet” by TIME magazine, Mittermeier is regarded as a world leader in the field of biodiversity and tropical forest conservation. Trained as a primatologist and herpetologist, he has traveled widely in 169 countries on seven continents, and has conducted field work in more than 30 − focusing particularly on Amazonia (especially Brazil and Suriname), the Atlantic forest region of Brazil, and Madagascar. In addition, Mittermeier has placed considerable emphasis on publishing. His output now includes 38 books and more than 700 scientific and popular articles. He has also been particularly interested in the discovery and description of species new to science, three of those being species of turtles. Russ has been with the TSA since its inception and was instrumental in supporting the group during its formative years. He also serves on the governing boards of both the IUCN–Tortoise and Freshwater Specialist Group and the Turtle Conservation Fund. Hugh Quinn holds a PhD in Biology and has spent his career in zoos: as Supervisor of Education at the Fort Worth Zoo, Zoological Curator at the Oklahoma City Zoo, Curator of Herpetology at the Houston Zoo, Director at the Topeka Zoo, and finally as General Curator at the Cleveland Metroparks Zoo (retired). Hugh currently resides in Kirksville, Missouri, and serves on the Board of Directors and Animal Management Committee of the Turtle Survival Alliance (TSA), on the Steering Committee of the IUCN/SSC Tortoise and Freshwater Turtle Specialist Group (TFTSG), as Co-Chair of the Turtle Conservation Fund (TCF), and as an Advisory Committee member of the Turtle Conservancy. He has been very active in the Society for the Study of Amphibians and Reptiles (SSAR), and served as president of that organization. Dr. Anders G.J. Rhodin, M.D., born in Sweden and living in the US since the late 1950s, is Founder and Director of Chelonian Research Foundation (CRF), a private nonprofit organization focused on the production, publication, and support of research and conservation efforts for turtles and tortoises. He is former Chair and current Executive Vice Chair of the IUCN SSC Tortoise and Freshwater Turtle Specialist Group (TFTSG), Chairman of the Board at Turtle Conservancy (TC), and has been a Board Member of the TSA since its founding. He is also Co-Chair of the Turtle Conservation Fund (TCF), a partnership-based strategizing and funding consortium of the TFTSG, CRF, TSA, TC, and several other turtle-focused organizations supporting global turtle conservation efforts. Additionally, he is the Founding Editor of Chelonian Conservation and Biology and Chelonian Research Monographs, two peer-reviewed professional scientific turtle journals co-published by CRF and TC in association with the TFTSG. He is also an active but semi-retired orthopedic surgeon providing part-time emergency trauma services in Massachusetts. Walter C. Sedgwick has a long-standing interest in conservation and has served on the Boards of a diverse range of conservation NGO's, including the National Audubon Society, The Nature Conservancy - Florida, Bat Conservation International, Island Conservation, the Pacific Forest Trust and the Wildlife Conservation Society, where he is Chair of the Program Committee. Because of his interests in turtles, he helped to found the Turtle Conservation Fund in 2002. Walter has been a driving force behind the TSA's strategic fund-raising efforts for many years, helping to get programs in India and Myanmar off the ground, and most recently championing the effort to bring the pair of Rafetus in China together for breeding. Frank Slavens retired in 2001 as Curator of Reptiles from the Woodland Park Zoo (WPS) in Seattle WA where he worked for 30 years. While at the WPS, Frank produced numerous editions of his book Reptiles and Amphibians in Captivity, a series of annually produced inventories of the world's reptiles and amphibians in captive collections. Each volume represented almost 500 collections, both public and private, with contact phone numbers and addresses. Sections on longevity and breeding were invaluable tools for those interested in the captive breeding of reptiles and amphibians. In 1990 he started the Western Pond Turtle Head-start & Recovery program at WPZ in cooperation with the Washington Dept of Fish & Wildlife. The program eventually expanded to include the Oregon Zoo. The main turtle site is in the Columbia River Gorge area along the Washington/Oregon border. After retiring from the zoo, Frank and his wife Kate moved down to the Gorge to continue their work with pond turtles. Frank and Kate have generously supported the TSA in recent years. 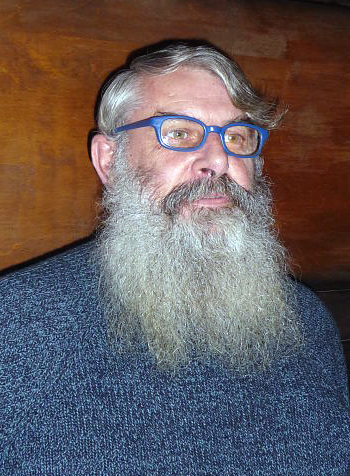 Rick Hills joined the TSA in July of 2018. Rick comes to TSA with a strong background as a business leader in California real estate development, an attorney, and an environmental advocate. He has had long-term involvement with the environmental and zoological communities in the United States, and has most recently been serving as Chair of Foundation Board of San Diego Zoo Global. His interest in, and commitment to, turtle conservation has been lifelong. Formerly based in San Francisco, Rick recently relocated to the Charleston, South Carolina area, home of TSA's principal office and its Turtle Survival Center, which houses assurance colonies for 30 of the world's most endangered tortoises and freshwater turtles. Andrew Walde was an active Board Member of the TSA until 2017 when he resigned his Director’s position to become the TSA’s Chief Operating Officer. Andrew now coordinates most of the TSA’s day-to-day business, as well as leads the field programs in India, Bangladesh, Cambodia, Indonesia, and North America. He was formerly a Research Biologist with Walde Research & Environmental Consulting based in Atascadero, California. He obtained a B.Sc. from the University of Western Ontario in London, Ontario and a M.Sc. from McGill University (1998) in Montréal, Québec, Canada. He is on the Executive Committee of the IUCN/SSC Tortoise and Freshwater Turtle Specialist Group, as well as the Turtle Conservation Fund. He also serves as the Co-Chair for the Annual Symposium on Conservation and Biology of Tortoises and Freshwater Turtles. He is an Editor on the updated Turtles in Trouble, The World’s 25+ Most Endangered Tortoises and Freshwater Turtles and serves as an Editor for Herpetological Conservation and Biology. While passionate about chelonian ecology and conservation, he is interested in all aspects of natural history, having worked throughout North America on projects involving restoration ecology, avian research and impact studies; as well as numerous surveys in entomology, ornithology, and herpetology. Jan Holloway is originally from Pulaski, a small town in upstate New York near Lake Ontario, and has been a lover of all animals since a very young age. Her true passion was horses though, which led her to earning her AAS in Equine Studies from Cazenovia College, NY before continuing her education, earning her BA in English, Creative Writing. 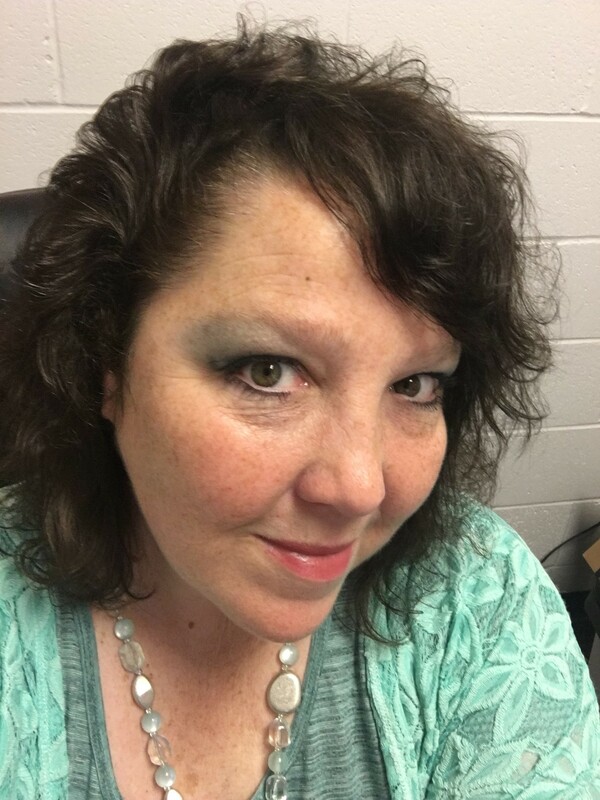 After graduating in 1988, she moved to South Carolina to take a position as the Breeding Manager at a large Saddlebred horse farm outside of Columbia, SC. She later explored other career fields including Sales/Marketing and Print Media and Publishing. Most recently, before accepting her position as Administrative Coordinator at the Turtle Survival Alliance in December 2017, she was the Activity Coordinator at another local non-profit agency for nearly five years. She has always been a reptile enthusiast, and bearded dragons, aquatic turtles, and non-venomous snakes have been among her most recent pets.